The M113 is a fully tracked armored personnel carrier that has formed the backbone of the United States Army's mechanized infantry units from the time of its first fielding in Vietnam in April 1962. The M113 was the most widely used armored vehicle of the U.S. Army in the Vietnam War, earning the nickname 'Green Dragon' by some people, but largely known as an APC and ACAV (armored cavalry assault vehicle) by the allied forces, as it was used to break through heavy thickets in the midst of the jungle to attack and overrun enemy positions. The M113 introduced new aluminum armor that made the vehicle much lighter than earlier vehicles; it was thick enough to protect the crew and passengers against small arms fire but light enough that the vehicle was air transportable and moderately amphibious. 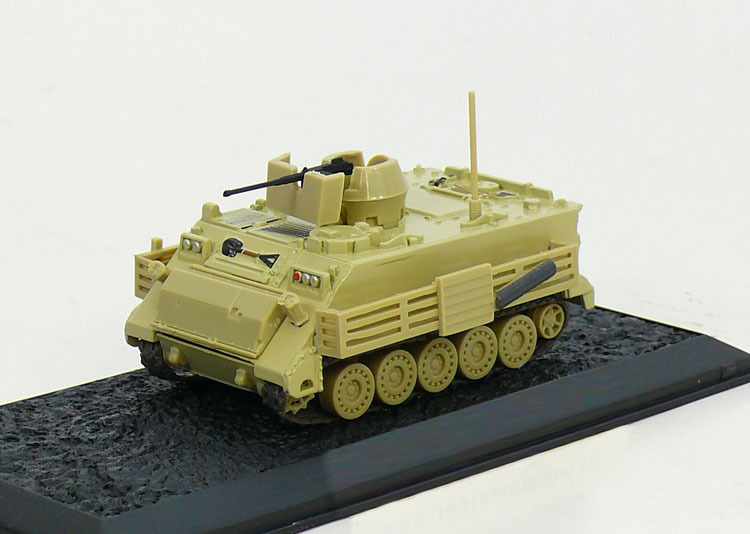 In the U.S. Army, the M113 series have long been replaced as front-line combat vehicles by the M2 and M3 Bradley, but large numbers are still used in support roles such as armored ambulance, mortar carrier, engineer vehicle, command vehicle, etc. The Army's Heavy Brigade Combat Teams are currently equipped with around 6,000 M113s and 4,000 Bradleys. 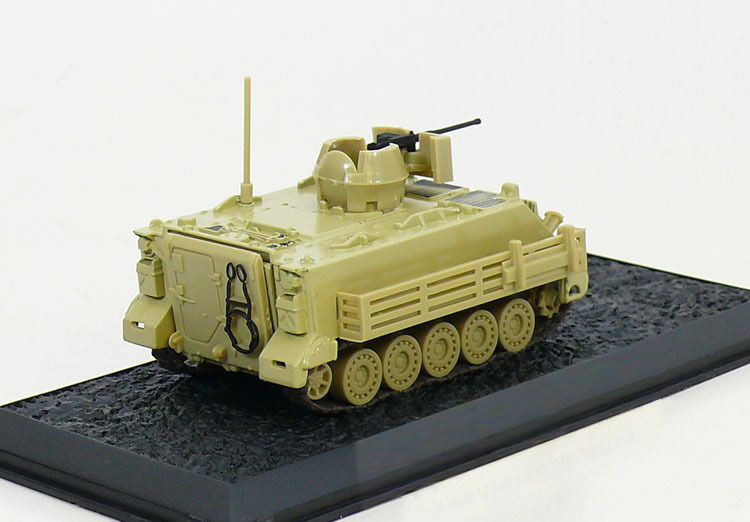 The M113's versatility spawned a wide variety of adaptations that live on worldwide, and in U.S. service. These variants together represent about half of U.S. Army armored vehicles today. To date, it is estimated that over 80,000 M113s of all types have been produced and used by over 50 countries worldwide, making it one of the most widely used armored fighting vehicles of all time. The Military Channel's "Top Ten" series named the M113 the most significant infantry vehicle in history. The U.S. Army plans to retire the M113 family of vehicles by 2018 and is seeking replacement with the GCV Infantry Fighting Vehicle program.